Isn't this a fabulous birthday card?? I just love the fun colors and that gold sparkle, how about you?? 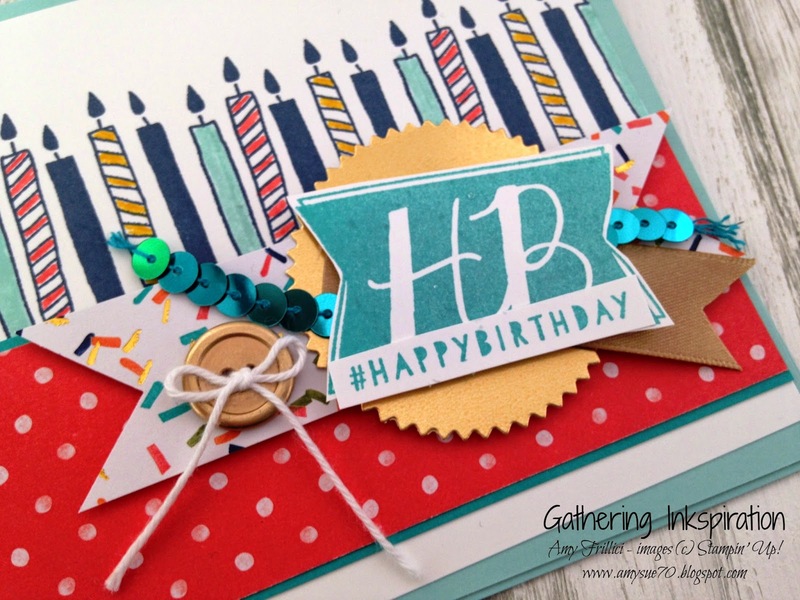 We added a layer of Birthday Bash Specialty Designer Series Paper to the bottom of Whisper White layer (along with a layer of Bermuda Bay card stock behind the DSP). Next, we added a strip of the "confetti" Birthday Bash DSP (that we flagged the end with our 1" Square Punch), then a Gold Foil Circle that was die-cut with our Starburst Framelits, along with some Bermuda Bay Sequin Trim, a bit of Gold Satin Ribbon and Happy Birthday (also from the Balloon Bash Stamp Set) stamped in Bermuda Bay ink. 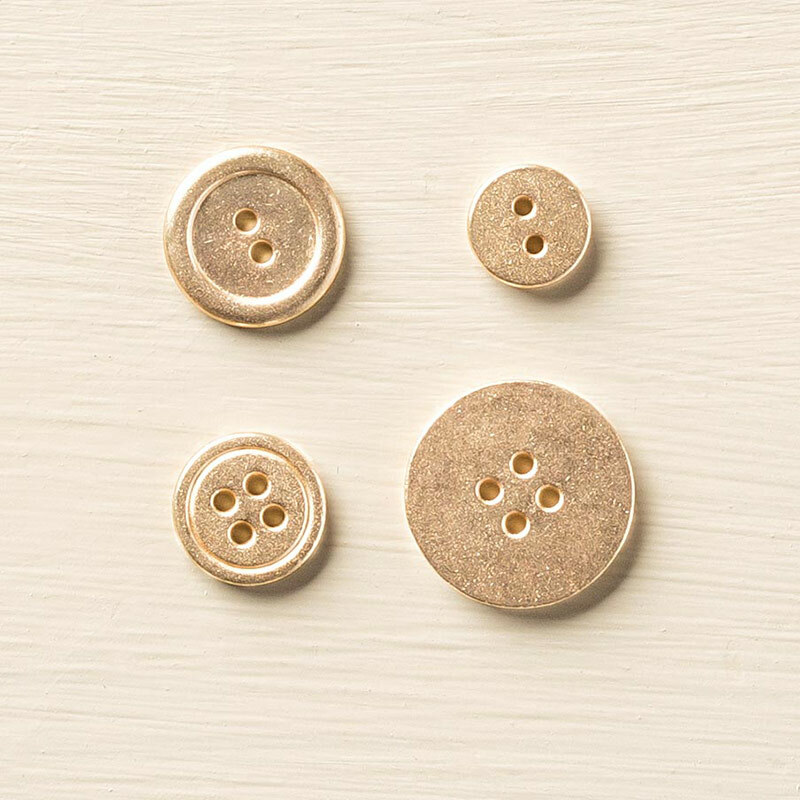 Finally, we added a Gold Basic Metal Button tied with some Whisper White Baker's Twine.